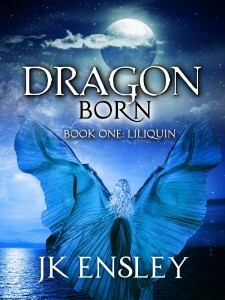 From the world of JK Ensley, author of the A Dance with Destiny novels, comes the first volume of a new series: Dragon Born. Cursed from before she can remember, Liliquin cannot mourn, feel empathy, or shed a single tear. A rare woman for anyone to ever forget, she knows only one emotion. . . joy. And not everyone sees the beauty of her strange flaw. Yet Sebastian Steele isn’t everyone. He’s a rock star in a pop culture, a hardened player dead-set against cosmetic plastic princesses and their games. . . an ambitious alpha male whose domain is relentless tours and pitiless money men. Toughened by years of grueling work in climbing to the pinnacle of his profession, he still secretly hopes to find true love. . . his Unicorn. But when Liliquin’s history is revealed to her and the only way to attain her own dream of a blessed life is to turn to the gods of old and the fierce Norse Dragon King she was once betrothed to. . . will she curse an ancient duty for a chance at happiness?